There have been 75 images uploaded to this topic. (View topic image gallery). There are 425 posts in this topic. You are on page 9 of 9.
enters the black vacuum form gate guide system. of the wire ramp and into the abyss of the back side of the playfield. Looks like I missed the boat . Time to roll up my sleeves. That looks better than most I've seen, good luck! If you want a REALLY nice original, let me know. 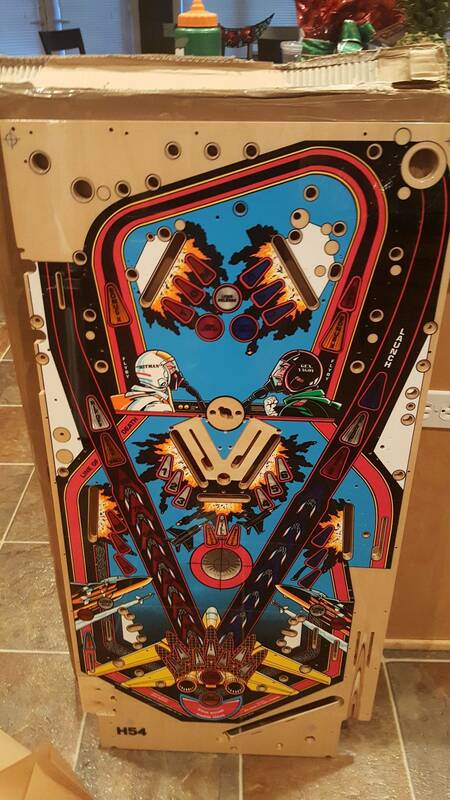 I'll do the playfield swap and my original is VERY nice. Full Mylar, very minimal wear, no to VERY little insert lifting. Almost hate to get rid of it to be honest, as it's in great shape. I have never seen this happen. Ever. When/how have you seen this? Something must me missing/broke. 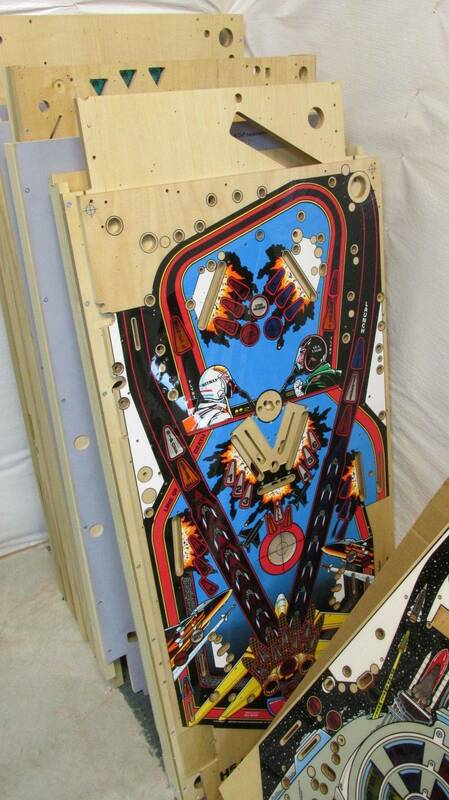 Lift the playfield up with all the balls ejected into the metal wire entrance ramp. A ball or two will end up behind the reverse kickback. I got lucky and Buthamburg had one available. I sent him a payment and it should be on the way at some point. I'm considering fixing up my old board to sell as an original. Won't be until after I get done with the F14 and Spy Hunter projects though. 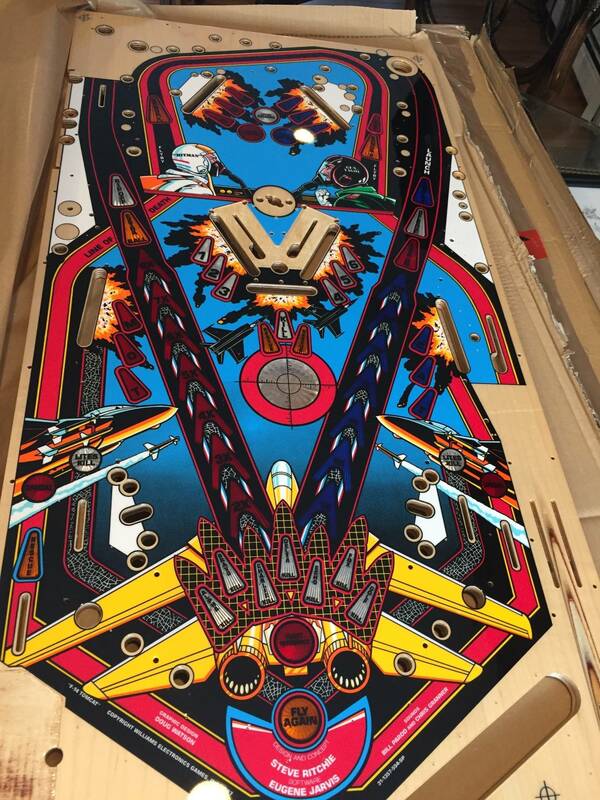 I think my playfield will be here any day now, but I don't have an F14 anymore to put it in. If anyone needs one I will sell at same price I paid. Mine just came today looks amazing!!! Are there any left to purchase? I'm late to the party but would love a new Tomcat play field. Sorry, but the first bunch is sold out. We will open a new pre-order list for F-14. Pre-order list is now open. 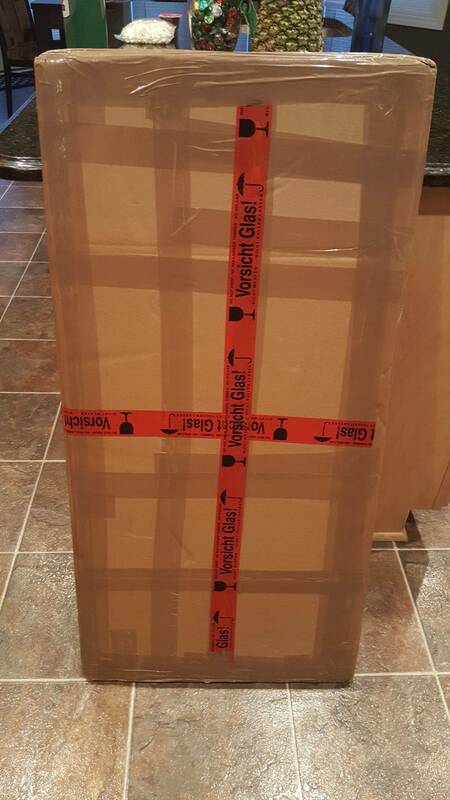 fyi ... we just received a very limited # of F-14 Playfields from Peter in Germany, all highest quality sealed directly from him. Any idea if you will be getting more in the future? After the second coat has setteled, we will check them and then decide if a 3rd coat is needed. 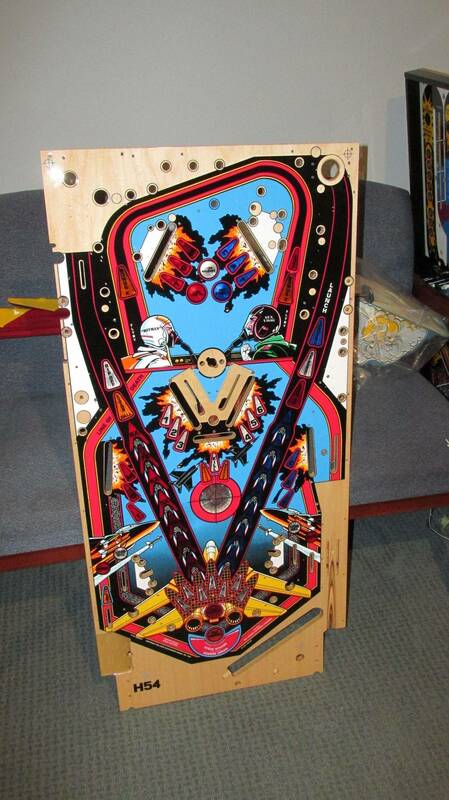 decent Playfield out to you. 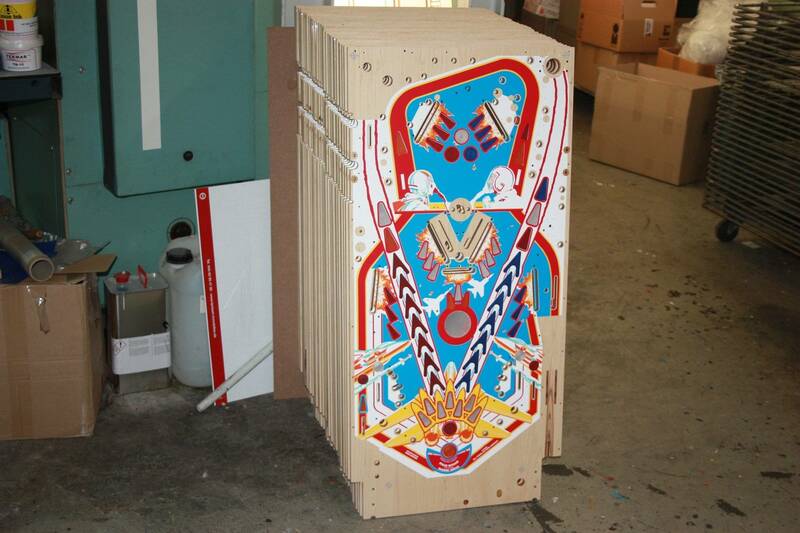 It would be the best to let the Playfield rest for atleast 6 months. 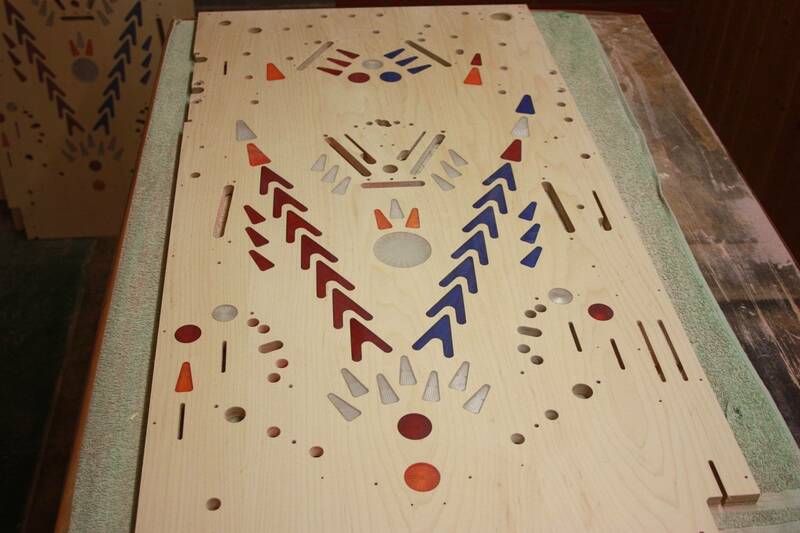 Then sand and apply another clear coat layer and wait again and repeat until you are satisfied. Kruzman would also be an option. I let my new #F-14 Tomcat playfield rest for 9 months on edge, turning it as needed to let gravity pull it flat as it sat. Now kruzman is working his magic on the surface. I will post results here when the finished product is ready for its photo shoot. 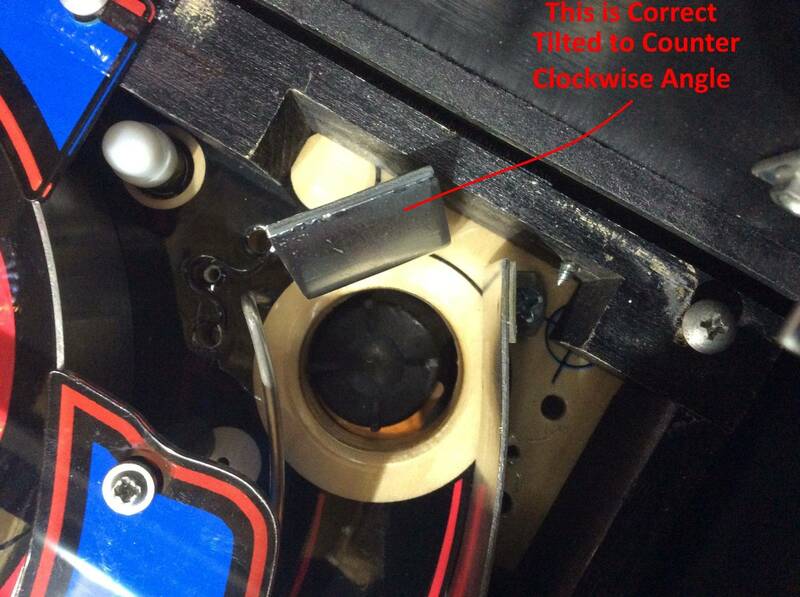 Thanks to vid1900, I solved a problem with the Launch Lane VUK saucer 'ball stop', causing ball to bounce back. Here are some pictures. 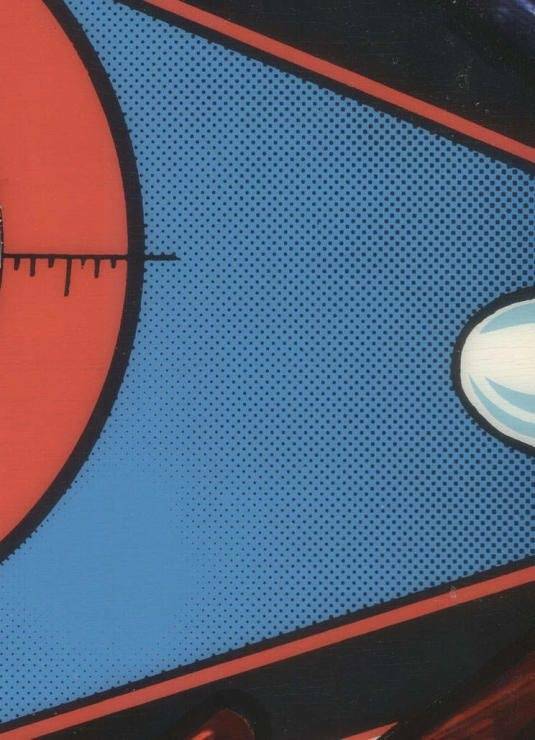 Notice the first one where the ball stop is square to the saucer hole? It needs to be angled counter clockwise slightly to kill the ball energy so it drops down into hole and not bounce out. 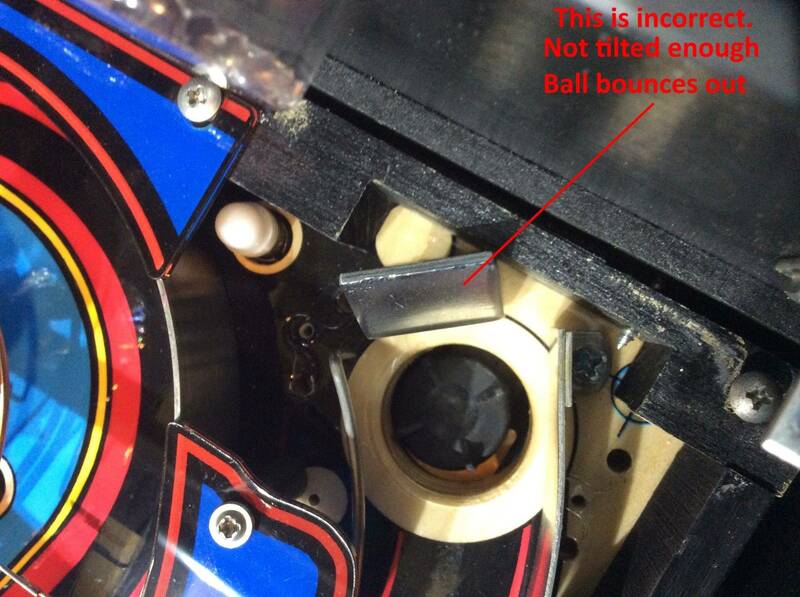 As I stated before, these repro playfields have holes that are not drilled in exactly the same place so these adjustments are needed. I just epoxied shut one screw hole and drilled another to set the stop at an angle. It plays great now. No bounce backs! We are busy setting up the milling machine for F-14 playfields. Then please send me an email to peter@buthamburg.de including your postal address. 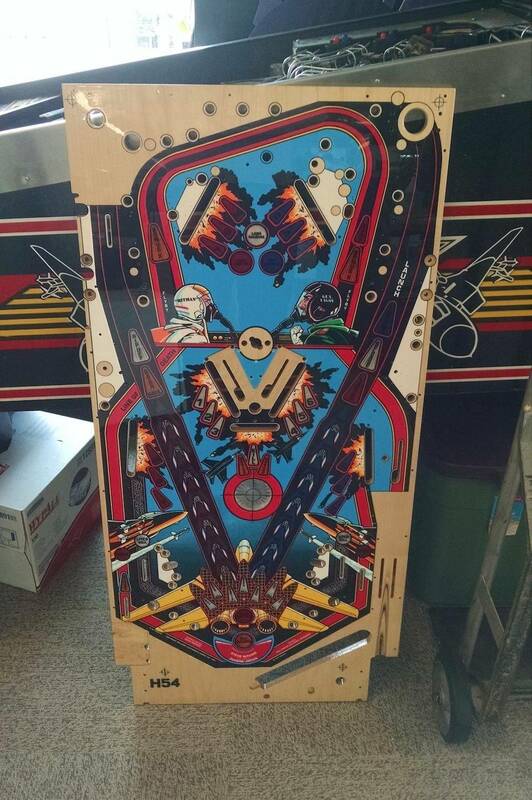 1 F-14 reproduction playfield Euro 700 Approx. 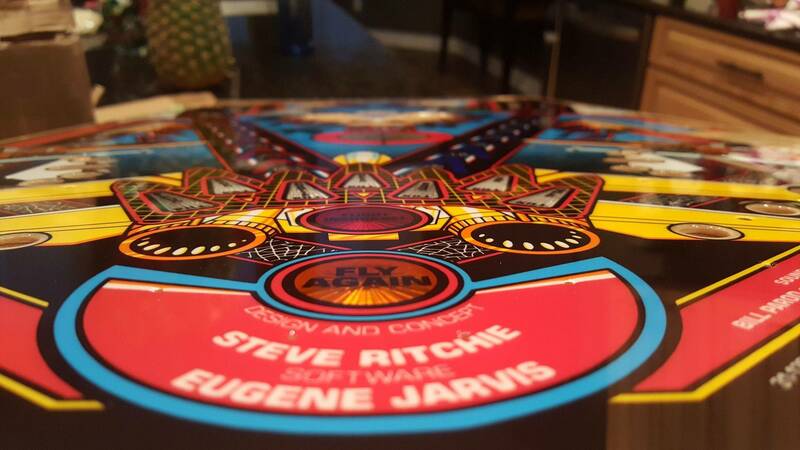 Note: If the Playfield remains in the EC we have to charge 19% VAT / MwSt. 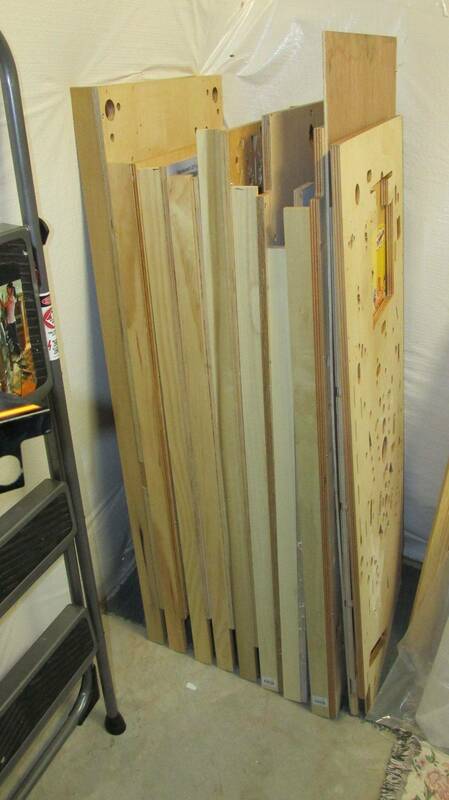 Here is a picture of the raw F-14 board with glued and sanded inserts. Now its time for primer. 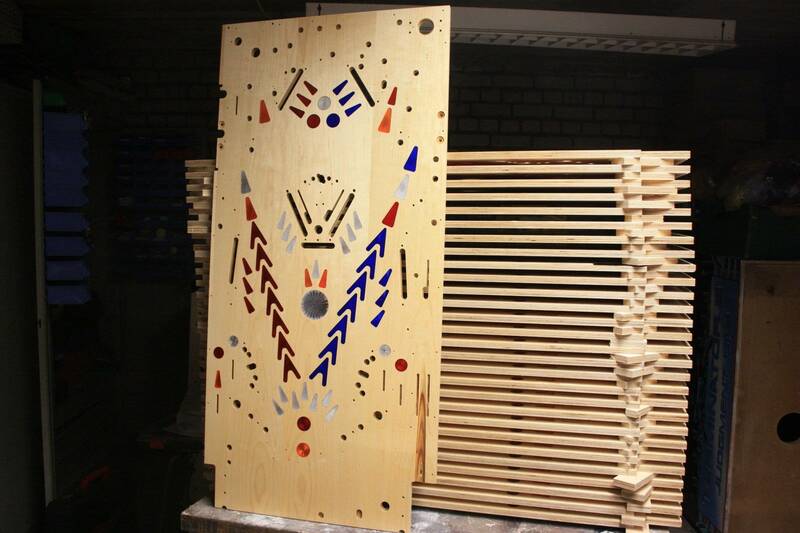 The last batch of playfields were beautiful! Congratulations to those getting new playfields this time around. Peter- Are there any plans to make matched color plastic sets this time around? I’m very unhappy with the blue that CPR used on their sets. Woohoo! Will be excited to feature one of these at RPM. Woot! Can't wait for mine! 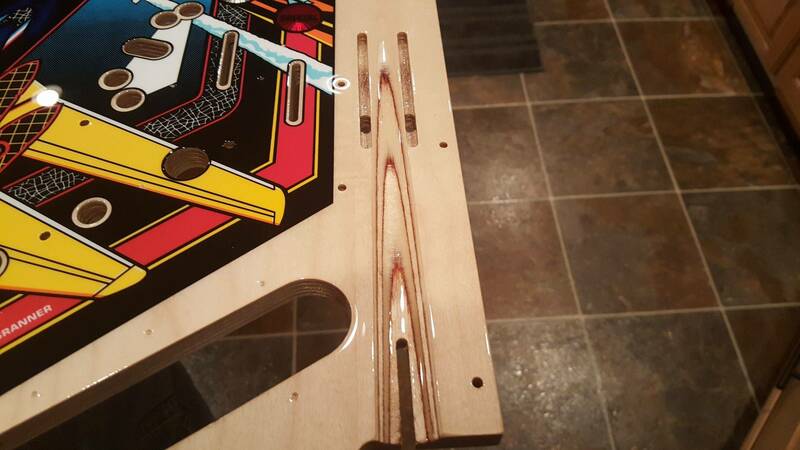 The F-14 Playfields now have primer and are ready for silk screen printing. We will let them rest for 1 week. Printing is scheduled for beginning of April. 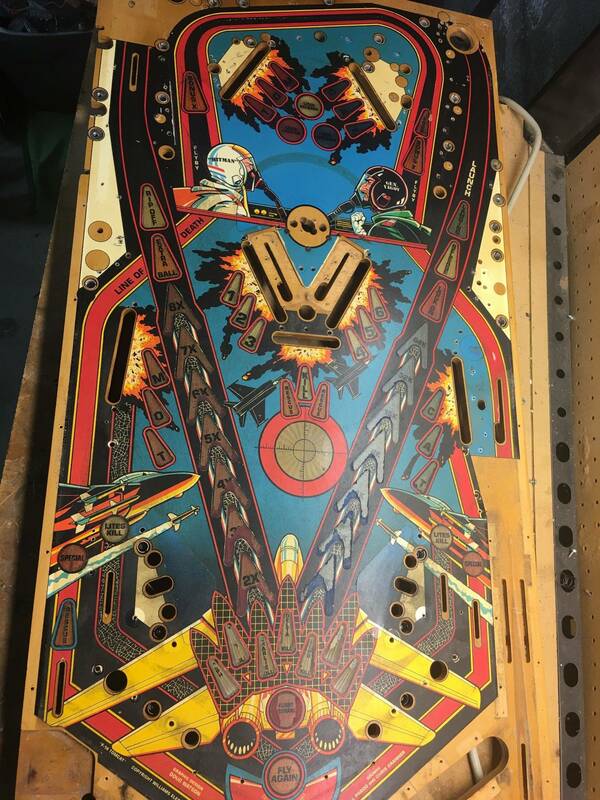 The picture is showing the F-14 Playfield with primer. then please send me an email to peter@buthamburg.de with your postal address. Here is a short update. We are nearly finished printing. If the printer manages to make the green and black screen until tomorrow, we will print the last 2 colors. Woohoo! Looking forward to it!